The name of the woman on everyone’s lips at the Miami Open this year continues to be 18-year-old Bianca Andreescu. The exciting young Canadian who, a year ago, was barely inside the top 200 and was plying her considerable trade in the ITF and qualifying draws, had made the full transition into the elite levels to such a degree that she seemed unable to lose a match. That was not strictly the case: In 2019, she had lost three matches for 28 wins, and was ranked 24 as she arrived at the spanking-new venue on the outer fringes of Miami. And she had just a couple of days to recover from a seven-match run via Garbiñe Muguruza, Elina Svitolina and Angelique Kerber to her first title at the prestigious Indian Wells Premier Mandatory. Because, sadly for Andreescu, her new ranking did not come soon enough to earn her a seeding in the equally huge 96-woman draw in Florida. She got a tiny bonus—rain—to earn an extra day’s recovery, but this was a huge ask for the teenager. Yet all that flair, athleticism and confidence built up during 2019 boosted her to a 29th win, and one that even her most ardent supporters could not have anticipated at a set and 5-1 down against Irina-Camelia Begu. Sure enough, though, Andreescu came back, through a match-point, to win, 4-6, 7-6(2), 6-2, almost exactly two weeks after doing the same in the first round in Indian Wells. That time, she beat Begu 6-7(3), 6-3, 6-3. But for her next match, she would have to reverse a recent result, for in the second round, Andreescu faced Sofia Henin, the last woman to beat the Canadian, in the Acapulco semis, and in another three-set tussle, 4-6, 6-3, 5-7. What is more, she would have less than 24 hours to recover. Should she win? Well, it could be ‘déjà vu all over again’—the woman she beat, in another three sets, for the Indian Wells title, Kerber. And she did indeed beat Kenin, this time in short order, 6-3, 6-3. But Miami this year is throwing up a number replays of previous key meetings. Take defending champion and No4 seed Sloane Stephens, who lost to Ons Jabeur in their only previous match, in Moscow last year. Jabeur, who is up to a career-high 52 following an opening Miami win, went on to reach her first final in Moscow. It was a cracker of a match, too. Osaka looked supremely calm and assured in storming to the first set, for the loss of just 11 points, 6-0. But then the experience and power of Wickmayer came to the fore in a long and determined second set. Osaka had to battle to hold serve in the early goings, and got the first break in an eight-minute fifth game, 3-2. Wickmayer, though, hit straight back, went on to hold off 15-40, and eventually took it to a tie-break. After Osaka took first blood, 2-0, she could force only one more point as Wickmayer hit winners and aces to hold, 7-6(3). The Belgian had made only five unforced errors in 119 points. 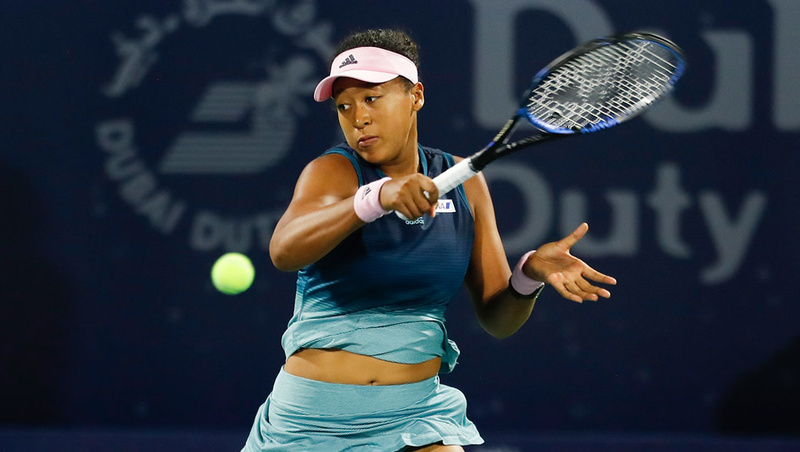 Yet Osaka, cool as a Major champion should be, simply turned on the form, broke quickly, 3-0, defied a break point in the fifth game, and after little more than two hours, served out the win to love, 6-1. So she would indeed play Hsieh again, after the 33-year-old beat Alison Riske, 6-2, 7-5. At the far end of the draw, Serena Williams, eight-time champion, had beaten Carla Suarez Navarro to win her most recent Miami title in 2015. Williams, playing unseeded just six months after giving birth to a daughter, lost in the first round last year. This year, now seeded, she avoided a dangerous opener, but in a heavily-weighted quarter, she could perhaps meet Suarez Navarro again in the quarters. That, however, may depend on her elder sister, the three-time champion Venus Williams. Venus could not match the number of titles her sister had won in their ‘home’ tournament, nor the number of match-wins, but her records through the history of the Florida tournament were formidable. Now the oldest woman in the draw—and Venus will be 39 in just three months’ time—this was her 20th appearance, and she had built up a 64-15 record with eight runs to at least the semis since her 1997 debut. Back then, age just 16, she reached the third round, and went on to win her first title the next year, defending the title in 1999: Indeed, she beat her sister in their first ever final. After missing the chance to defend in 2000 with a wrist injury, she reclaimed her title in 2001, but her 22-match winning streak was finally ended in the 2002 semi-finals by Serena, the younger Williams’ first tour win over her sister at the sixth attempt. Venus got the better of Serena in the quarters in 2005, but in their last Miami meeting, a decade ago, Serena reached the final via a three-set win over Venus. However, the next year, 2010, the elder Williams returned to the final for the first time in nine years—and thus far, the last time. Since then, Venus had beaten her next opponent, Suarez Navarro, five times, but her last loss to the Spaniard was in Miami, four years ago. The petite Spaniard produced a remarkable comeback victory, 0-6, 6-1, 7-5, on her way to that final against Serena. Suarez Navarro, this year, was still seeded, but Venus was not, so by the time they squared off in the second round, the American had got her first win on the board, 7-5, 6-3, over qualifier Dalila Jakupovic. And all the desire and fight of 20 year ago was on full show, as Williams fought back from a break down three times in the first set. Could she, though, avenge that 2015 loss to the single-handed Suarez Navarro? The first set took almost an hour, as the contrasting styles of the two women separated by eight years in age and eight inches in height, treated the partisan crowd to a battle royal. An immediate exchange of breaks was followed by another Williams break for 3-1, but Suarez Navarro broke back again. 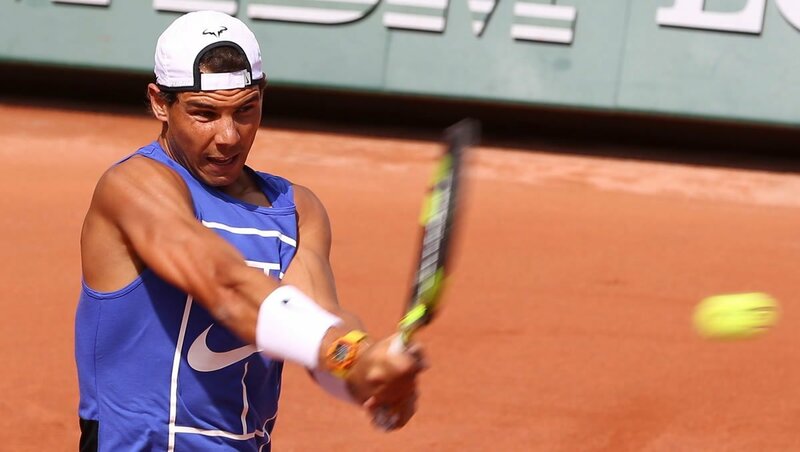 They then edged to a tie-break as the Spanish slice and angle defused the power of the former champion. But come the final game, Williams got the advantage after changing ends at 3-3, and took the set, 7-6(4). And she carried that momentum into the second set with an immediate break, and held off break point for a 2-0 lead. That done, she dominated a now error-prone Suarez Navarro, broke after a long delay when a spectator was taken ill, and broke again for set and match, 6-1. Next up is Daria Kasatkina, seeded 14, who beat the youngest woman in the draw, Cori Gauff, 6-3, 6-2. And the Russian, 17 years Williams’ junior, will offre up another ‘déjà vu’ opportunity: She beat the American just a year ago, 4-6, 6-4, 7-5, in Indian Wells. Alja Tomjanovic beat No9 seed Aryna Sabalenka, 6-3, 6-4, and next plays No21 seed Anett Kontaveit. No16 seed Elise Mertens beat Pauline Parmentier, 6-2, 7-5. She next plays Marketa Vondrousova, who beat No22 seed Jelena Ostapeno, 7-5, 6-1. Monica Niculescu beat No20 seed Muguruza, 7-6(0), 4-6, 6-2, and will next meet No13 seed Caroline Wozniacki, who beat Aliaksandra Sasnovich, 6-4, 6-4. Viktoria Kuzmova beat No31 seed Anastasia Pavlyuchenkova, 6-7(5), 6-4, 7-5, and will play No7 seed Kiki Bertens. 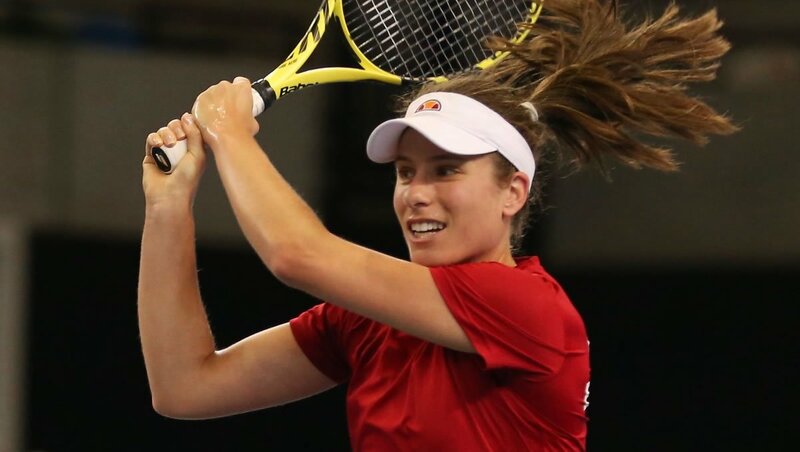 Former champion Johanna Konta, now ranked 38, went out to No18 seed, Qiang Wang, 6-4, 6-0, who awaits the winner between Serena Williams and Rebecca Peterson.